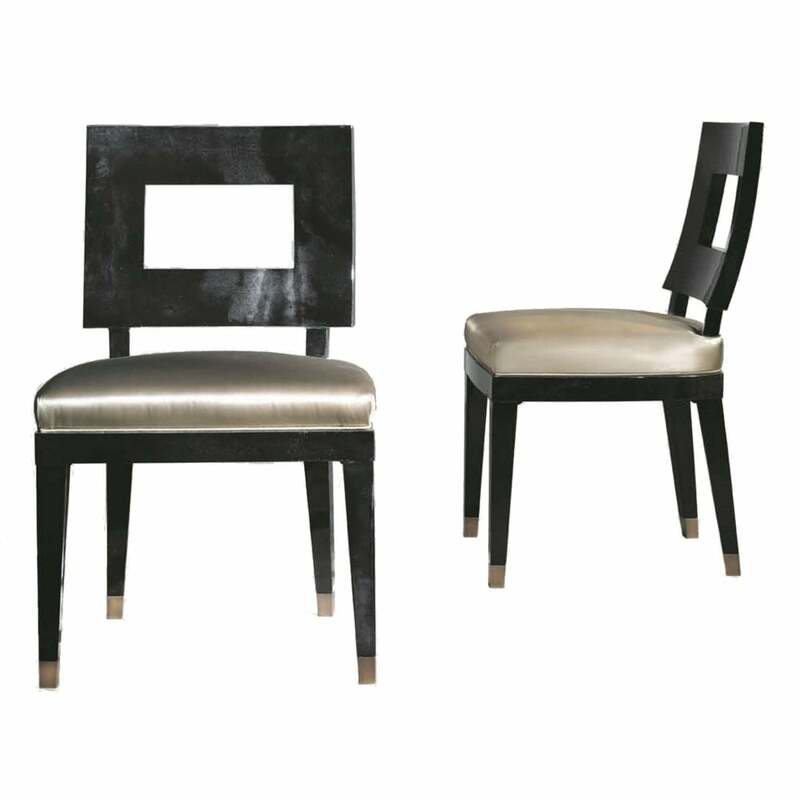 The Bronze Dining chair IV features a smart Art Deco inspired design with a square back and luxurious fabric seat. This formal dining chair works beautifully with schemes of silvers and blues, however, it also looks stunning with jewel tones of amethyst and jade green. Try contrasting fabrics for a modern take this Art Deco design. Change the seating fabric to a geometric pattern or vibrant velvet to add a fun element to this sleek design or go for elegant shades of silver and pale gold. Available in a choice of finishes, the dining chair is priced here in the brands' own fabric.